New for 2018. 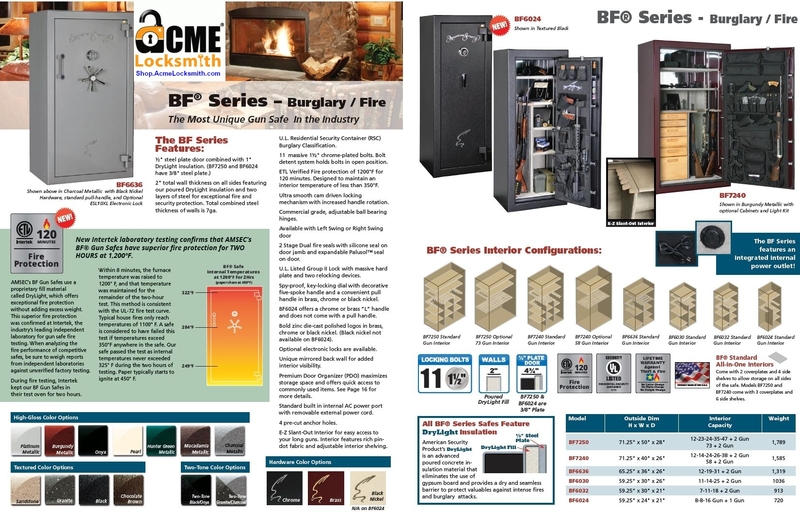 This BF series by American Security is one of the highest quality safes you can own, and it's American Made. This 2-hour gun safe is compact enough to fit into most closets.Though BF safes do not carry a TL rating they are one of the strongest gun safes made with concrete filled walls and 3/8 inch solid steel doors. Visit our showroom in Mesa, AZ to see our safes. 1/2" solid steel door plate 4-6X as thick as that of a big box store. Long gun storage system for two guns. Please Note. Limited options and colors available locally for immediate delivery (black safe, chrome hardware, dial or standard electronic lock). In most cases, AMSEC will custom make the safe to fit your preferences. This can take 2-5 weeks.